In this report we analyze cloud spend reported by Intricately on over 180,000 companies in Latin America. The data used to estimate cloud spend is collected by Intricately’s global sensor network that monitors over 15,000 cloud products. 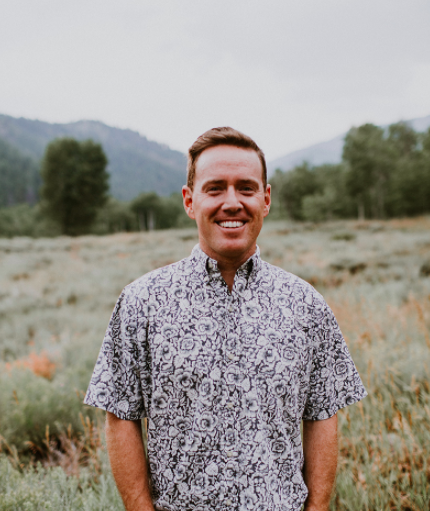 The Intricately network is purpose-built to understand product adoption, usage, and spend, and is trusted by industry leaders including Amazon, Verizon, IBM and Akamai. Below, we’ll provide an overview of the cloud infrastructure market in Latin America and identify opportunities for providers to increase their market share. Over 180,000 companies in Latin America use some form of public cloud infrastructure. Within this segment, 5% spend more than $20,000/month on cloud infrastructure, representing over 8,500 companies. 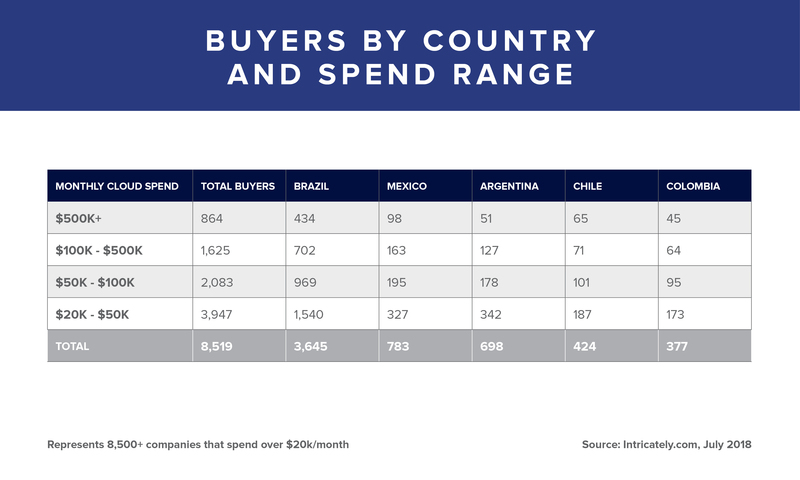 The majority of cloud buyers are located in Brazil and the rest are primarily distributed across Mexico, Argentina, Chile, and Colombia. Grupo Globo is the top cloud spender in Latin America. This media giant in Brazil spends over $11 million/month on cloud services, $7 million of which goes toward AWS. The rest of their spend is distributed across Telefónica, América Móvil, and others. Mercado Livre, the second largest spender, is an Amazon-like ecommerce store. They deploy a multi-cloud strategy that leverages AWS, IBM Cloud, and Akamai. 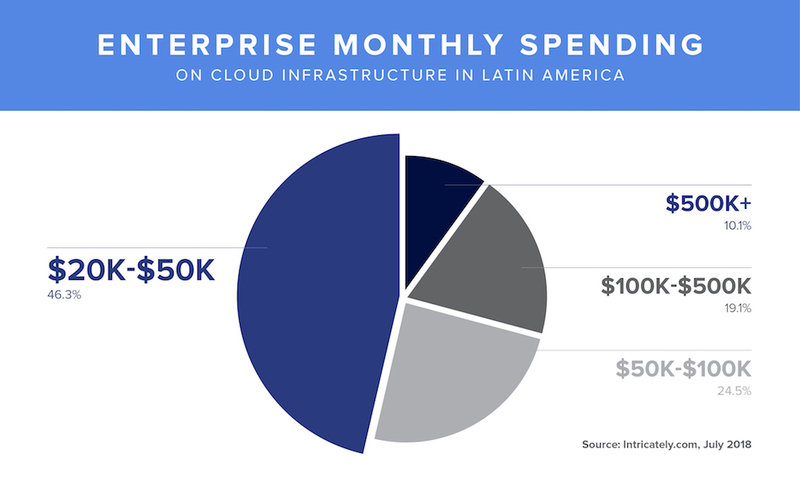 Intricately estimates that $1 billion was spent in Q2 2018 on cloud infrastructure in Latin America, putting 2018 cloud spend at a $4+ billion annual run-rate. The provider with the largest market share, AWS, controls over 45% of the market and Microsoft Azure is a distant second with 18%. What is most impressive is Amazon’s continued dominance in the face of growing competition from Microsoft, IBM, and Google. With all three providers announcing new data center locations in Latin America, we expect the distance between Amazon and its competitors to shrink as competitors continue to bridge the product maturity gap. What may be even more impressive is Amazon’s growth within Latin America’s content delivery market. While Akamai continues to lead the market with 38% market share, Amazon’s CloudFront product has made huge strides in gaining market share on Akamai and is currently rewarded with 28% of the market. Intricately estimates that Latin America’s content delivery market is just over $600 million annually, representing 15% of the $4 billion cloud infrastructure market in Latin America. Akamai's 38% market share is distributed across just over 1,000 customers. In comparison, CloudFront has over six times the number of customers in Latin America but they spend much less. While 3% of Akamai’s customers spend over $20,000/month, only 1% of CloudFront’s customers do. Despite these differences, each provider serves many of the same enterprises in Latin America. 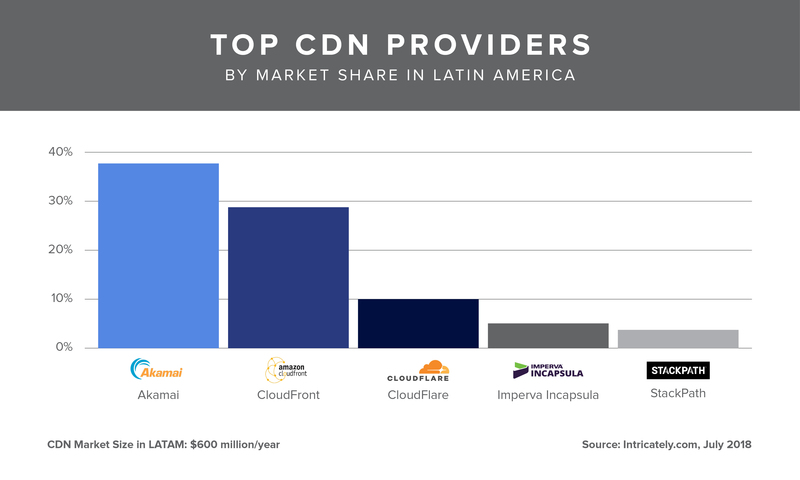 And in some cases, such as with El País and Mercado Livre — two of the the largest CDN buyers with multi-CDN strategies — Akamai and Amazon are neck and neck generating nearly $1 million/month from each customer. A cloud infrastructure provider’s potential for growth in a region is largely dependent on that region’s level of connectivity — and in Latin America, connectivity is steadily rising. With an estimated population of 630 million people, about 417 million people (66%) currently have access to the Internet. This is up from 384 million people in 2016 and accounts for 10.3% of Internet users in the world. The region’s largest telecommunication providers are Telefónica, América Móvil, and Oi. 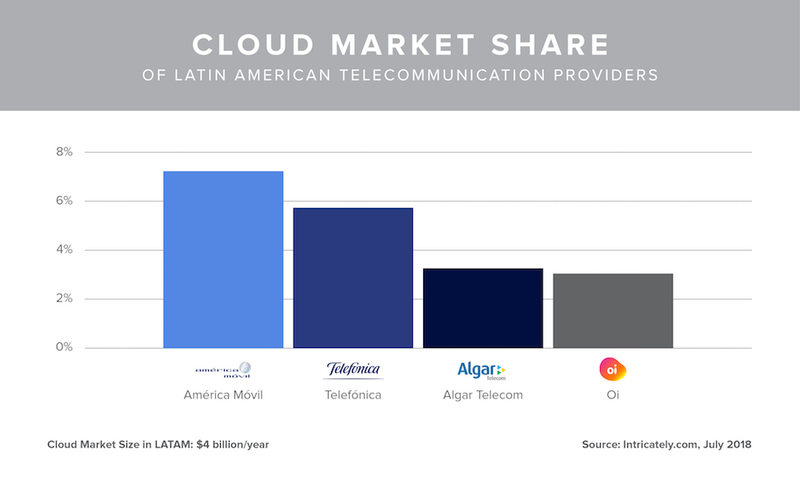 These companies are the leading providers in Latin America with the highest cloud market share among Latin American-based telecommunication providers. In Latin America, a combination of legacy infrastructure, a regulatory environment that tends to favor the incumbents, and a historically low (but growing) demand for cloud services has enabled telecommunication providers to control a significant portion of the market. 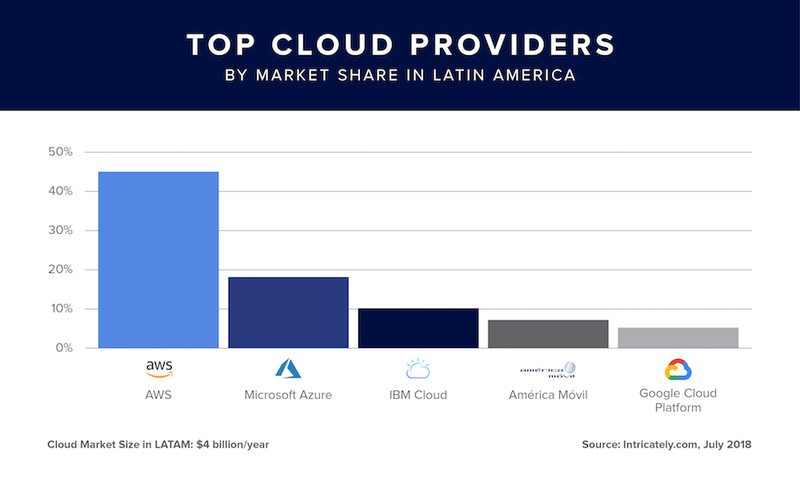 Of the $4+ billion cloud infrastructure market in Latin America, Amazon AWS has the highest market share at 45% with Microsoft Azure (18%) and IBM Cloud (10%) gaining ground. Latin America’s content delivery market is $600 million, representing 15% of the $4+ billion cloud infrastructure market. More than half of Latin America enterprises spending over $500k/month on cloud infrastructure are located in Brazil. Most of the other high-spending enterprises are located in Argentina and Mexico. Intricately monitors the adoption, usage, and spend on cloud across 15,000 products and five million companies worldwide. By understanding traffic, product deployment, application behavior, and infrastructure configuration, Intricately has built the most complete relationship graph of businesses using cloud and cloud providers themselves. Interested in learning more? See how Intricately collects data or start using the data with the free version of our product.